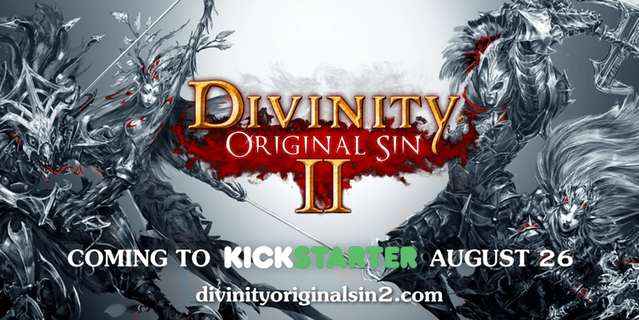 All right, so I’m not intimately familiar with the Divinity series of games but it is one that I am certainly interested in. While I didn’t back Divinity: Original Sin it’s been on my list to play for a while now. And now might actually be a good time to dust it off and give it a spin as the developers have just announced that they will not only be making a sequel but it will be crowdfunded just like its predecessor. Divinity: Original Sin 2’s expected launch date is August 26, so if you’re a fan make sure to mark your calendars. Instead of just using money from sales they wanted to let the fans in on the ground floor and help it along throughout the development cycle. Check out the current page for the sequel and give some feedback on what you want to see when it goes live.